This afternoon tour of Darwin City & Surrounds is the perfect introduction to the tropical city of Darwin. This small city encompasses warm and relaxed streets, vibrant action on the waterfronts and is rich in WW11 history. See the Chinese Temple, meander through the Botanic Gardens and see the landmarks and sites that Darwin has to offer. All this with expert commentary by an experienced Local Guide. Book your Darwin Tours with us today. The 'Jumping Crocodile' Tour is a must when considering Darwin Tours. You simply can’t get any closer to the action than this amazing Jumping Crocodile Cruise. Get right up close and observe these primeval creatures as you cruise along the Adelaide River with an expert tour guide. Saltwater Crocodiles are the largest reptiles in the world and can grow up to 7-meters long and weigh up to 1000 kilograms! Seeing these amazing creatures on the Jumping Crocodile Tour in their natural habitat will leave you in awe. Join one of our best Darwin Tours for a full day of bushwalking, swimming, exploring and relaxing in Litchfield National Park. This Litchfield Day Tour includes a Jumping Crocodile Cruise, the Florence Falls, Buley Rockholes and spectacular waterfalls. This tour is a jam-packed day filled with lush landscapes and a whole host of Australian Wildlife and if you dare you may even have the opportunity to do some snake handling! Join our Litchfield Day Tour now! This 2 Day Darwin to Alice Springs Tour is the best way to travel from Darwin to Alice Springs and make sure you experience all the greatness that the Northern Territory has to offer along the way. On this 2 Day Tour, you travel with experienced tour guides and will visit iconic destinations like The Devils Marbles, the Mataranka Thermal Springs and Edith Falls. Also included is a pub meal dinner and the nights stay at the historical Daly Waters Pub. Once you have experienced all of our Kakadu and Darwin Tours this is a great way to get to Alice Springs to explore Uluru. Our 2 Day Alice Springs to Darwin Tours is the best way to travel from Alice Springs to Darwin and make sure you experience all the exciting landmarks in between these two exciting cities. Hosted by experienced tour guides you won't miss anything when you visit iconic destinations such as the Mataranka Thermal Springs, Edith Falls and The Devils Marbles. This tour also includes is a pub meal dinner and the nights stay at the historic Daly Waters Pub. Kakadu National Park is one of the most famous National Parks in Australia. The park features over 20,000 square kilometres of unique, Australian outback and is host over 2000 species of plants and a host of animals and birds from Turtles to huge saltwater crocodiles. Kakadu National Park is also famous for its very rich indigenous history and rock art paintings which dates back to prehistoric times. 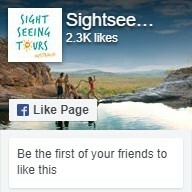 We offer a number of tours departing Darwin from single day visits to 3 day camping trips. We're sure we'll have something just right for you. The world-famous Uluru (Ayers Rock) is one of Australia's most iconic tourist destinations. Uluru is rich in indigenous history, incredible landscapes and natural wonders. There is so much to see whilst in the vast Australian outback, so there are a number of Uluru Tour options for you to choose from. Try a single day sightseeing trip if you are short of time or enjoy the complete 5 day camping under the stars adventure. So whether you're looking to just catch a sunset over the rock or are looking for the full outback experience, we'll have an Uluru Tour just for you.